Please arrive at the boarding location at least 15 minutes prior to departure time as the boat will leave at the exact departure time. Experience the most lavish Dinner Cruise of Dubai while enjoying the International buffet on a luxury glass boat and get a glimpse of the Palm Jumeirah life. You will embark on a luxury glass boat and spend an indulgent night relishing the special atmosphere surrounding you. This cruise will travel through the first branch of the West Marina Palm Jumeirah, giving you an immediate glimpse of the luxury lifestyle on Palm Jumeirah while enjoying a delicious dinner. 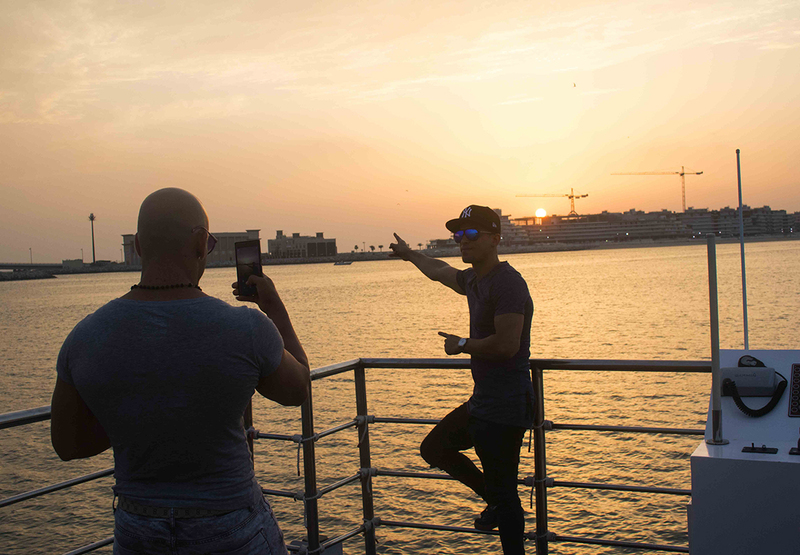 On this trip, you will experience spectacular views of Dubai Marina against a stunning orange and yellow sunset backdrop. Feel the refreshing breeze of Palm Jumeirah and watch as you pass by a number of famous 5-star hotels and stop at the most awaited station, The Atlantis, Palm Jumeirah. You will not want to forget your camera on this trip as there will be many iconic views to capture.